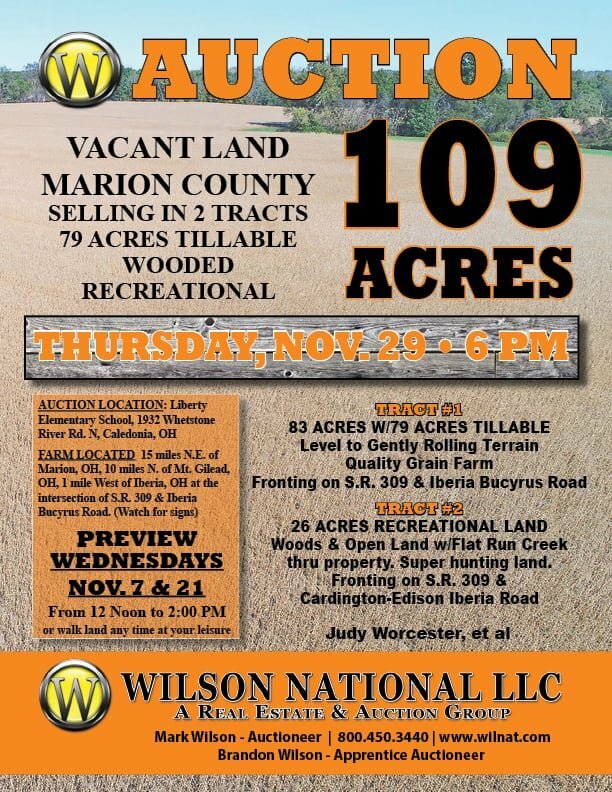 AUCTION LOCATION: Liberty Elementary School, 1932 Whetstone River Road N, Caledonia, OH. 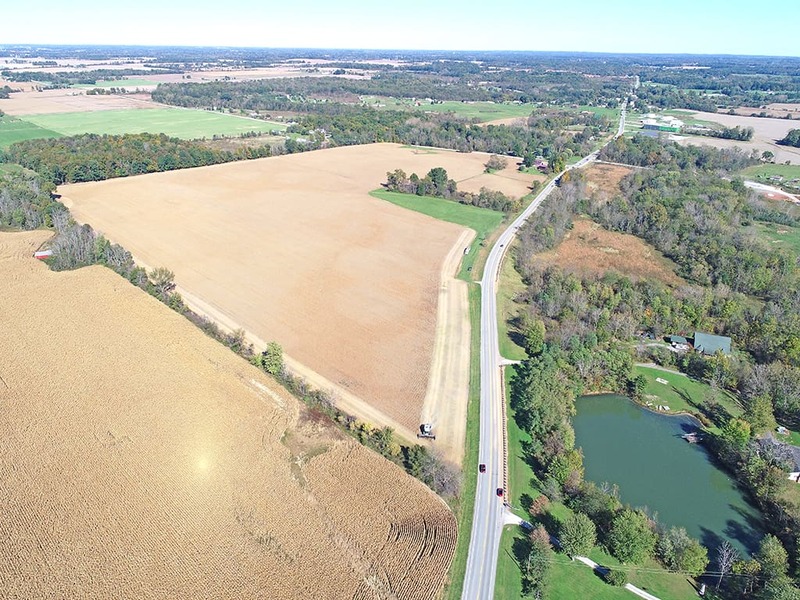 at the intersection of SR 309 & Iberia Bucyrus Road. Fronting on SR 309 and Cardington-Edison Iberia Road. PREVIEWS: WEDNESDAYS, NOV. 7 & 21 FROM 12 NOON TO 2:00 P.M.
OR WALK LAND ANY TIME AT YOUR LEISURE.